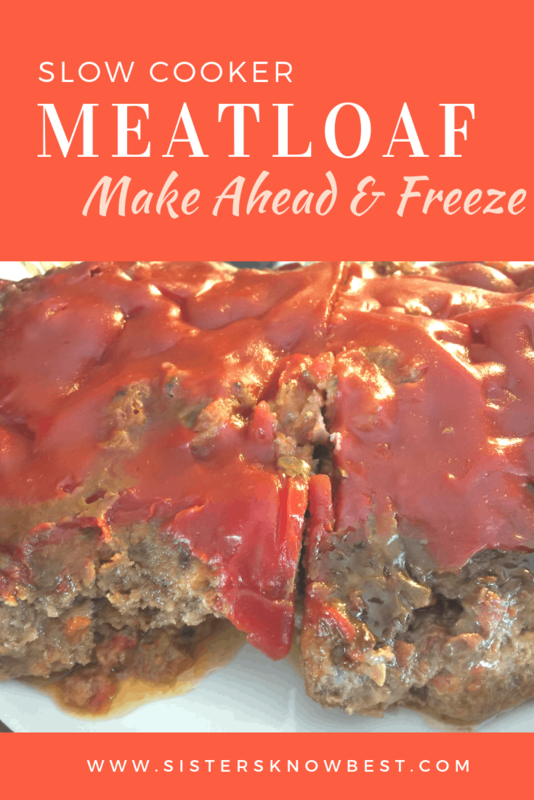 Meatloaf for the slow cooker is great for batch preparation. I usually make 5 at a time and freeze them. When you freeze yours make sure first to smoosh all the ingredients around in the bag to help mix them up and then shape the bag in a block instead of laying flat like you typically do for crockpot freezer meals. I do this because I don’t have to thaw out the package first so I just drop it in and go about my day. Place all ingredients inside freezer bag. Mush thoroughly inside the bag. Do not lay your bag flat. Try to shape the meatloaf inside the bag so it will fit inside your crockpot. 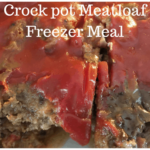 On cooking day, put the frozen meatloaf in crockpot. 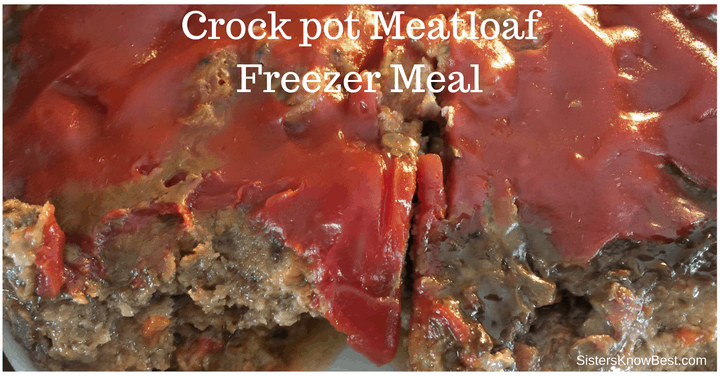 If you did not freeze your meatloaf in a block that fits in your crockpot, place aluminum foil around the meat with cover off for about a half hour until you are able to push the meatloaf down in to the crockpot. Cover meat mixture with ketchup. Try barbecue sauce or salsa for a variety! Drain grease or scoop out meatloaf and let drain on paper towels. There are so many variations for meatloaf. Check out this Halloween meatloaf idea. 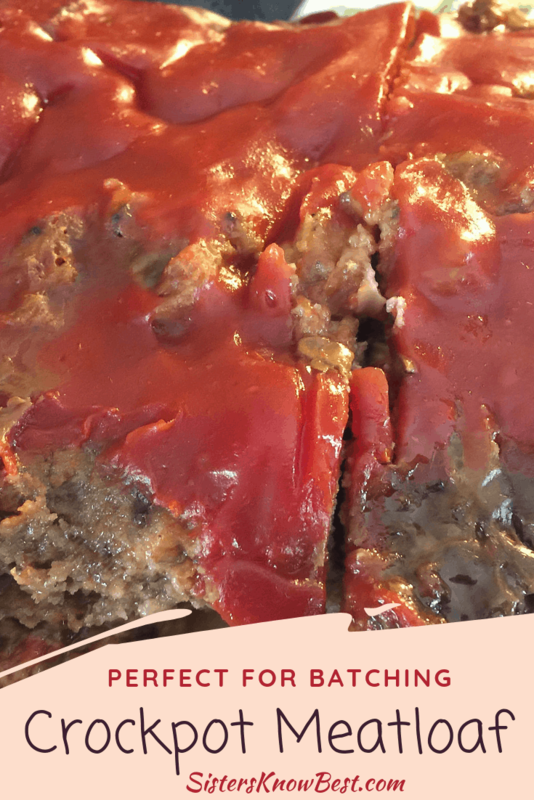 What’s your favorite meatloaf variation? 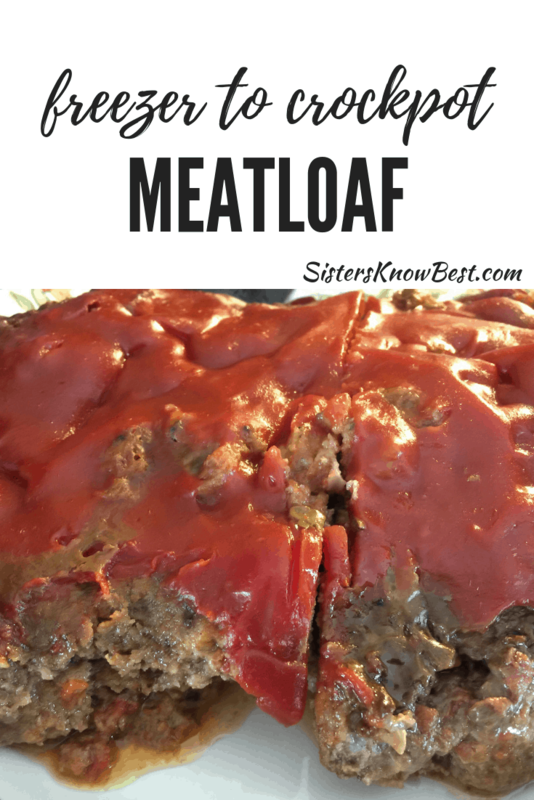 Meatloaf for the slow cooker is super easy and delicious!